Dry Patches on the skin and how to get rid of them? Dry skin on face can be seen as spots or elaborate patches that require immediate care. Non- itchy dryness is the most common form of dry skin condition that we see. But there are also cases of dryness that are itchy. Itchiness of skin is just a way for your skin to tell you it’s irritated. If your dry skin is itchy, there could be three reasons for it. or it might be a particular skin condition. A skin condition which includes dry patches as a symptom along with itchiness and redness might be Eczema. You will require medical attention for that. What causes the non-itchy dry skin on face? Extreme weather conditions: Skin is usually believed to become dry in winter because it loses its moisture due to low levels of humidity in the air. This could also happen in summer as well when the heat is extreme and you don’t hydrate yourself enough. Incorrect skincare: Sometimes, people with oily skin and who don’t live in severe weather conditions also have dry patches. This is caused due to the use of incorrect skin care. Which could mean that even if you have oily skin you might be using products that are drying your skin out. There are natural oils that moisturize our skin from within. When products are used to remove these oils, the skin becomes dry. Another thing to keep in mind is that when you over wash your skin, it could lead to dry skin on face. A person might think that by over washing their skin they could keep the oil at bay but that’s not how to treat that. If you have oily skin, you should not wash your face more than twice a day. Doing so will only increase dryness, causing the skin to produce more oil. By over washing your face you will be drying it out, which means that the sebum glands are going to be triggered all over again, and you will have excessive oily skin. According to our expert Dr. Leena, “ Most of the times dry skin on face is caused because of the use of products that don’t support one’s skin, or the products are used excessively ”. How can you get rid of it by locking in moisture? Drink a lot of water at all times. In any kind of extreme weather be it winter or summer, make sure that you drink ample amount of water which is typically 2-3 liters per day. Milk: Milk can be used to keep your skin moisturized and soft. It also agrees for all skin types whether it may be dry skin or oily skin. Lactic acid is a natural moisturizer. It also helps in removing dead skin cells as well, without drying out the skin. Aloe vera: The best way to use aloe vera is straight from the plant itself. Leave it on for 15-20 minutes and then wash it off. Moisturizing: Moisturizing your skin regularly will help keep your skin soft by keeping the moisture on your skin intact. You must moisturize your skin constantly, which means you moisturize after you bathe, when you wash your face or hands, even when you go to bed at night. Do not allow your skin to feel dry for a long time. Use mild cleansers: Use only mild cleansers in order to not take away too much moisture from your skin. This will only irritate the skin more and cause your skin to look more dull. Consider using petroleum jelly: Experts have said that petroleum jelly is better at locking moisture than normal moisturizers are(1). Try using petroleum jelly instead if you are okay with having a mild feel of grease on your skin. Avoid taking hot water baths: Hot water tends to take away more moisture form your skin and leave it dry. Taking a cold shower would be a better option, but try to avoid taking a long bath in that as well. Milk and aloe vera are ingredients that are especially good for dry skin types(2). Thus you wouldn’t have to be worried about any sort of allergic reaction either. Things that you should avoid doing which might help in reducing dryness on your face. Over touching: This is when you use harsh towels or any other material to constantly clean your face when you rub it dry. Even if you have flakes due to dry skin it’s advised to stay away from wiping your face excessively, this only worsens it. Washing: Avoid washing your face excessively as well. Washing your face twice a day is good enough, nothing more. Harsh chemicals: Harsh chemicals, be it in any form, have strong chemicals that could harm your skin. That’s why it’s advised to use mild face washes that moisturize you skin instead of soaps when you have dry patches on your face(3). Dry skin, like any other skin, can be hard to manage. But with the right care and proper adherence, it can be brought up to a much better condition. Is your skin dry and itchy? Do the patches give it a bad appearance? 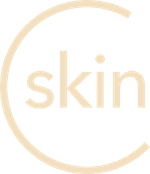 Download the CureSkin App by clicking here to get cured! It’s easy, fast, and affordable!